Amy Hiatt full of smiles as she participates in PE at Placer. There are a lot of things that make freshman Amy Hiatt a stand out. Maybe it’s the fact that she is 6’2”, or maybe it’s the fact that she made the junior varsity volleyball team as a freshman, one of only two players. Not only though is she just on the team, she starts. “When I heard I made JV I thought I was just going to be sitting on the bench, but once I found out I was going to be a starter I was pretty excited,” Hiatt exclaimed. She hasn’t only been starting, she’s been an impact player for the team, known specifically for her blocking skills, given that she is very athletic and exceptionally tall. Freshman teammate, Clare Arnold, also has nothing but good things to say about Hiatt. “High school is a little more challenging. And it’s probably more fun because I see the girls everyday.” She also talked about how all of the girls get along very well, and that she knows the coach (Jackie Biles) from her club so that works out well. In club volleyball, Hiatt talked about how you only get to play with the girls about twice a week whereas in high school you get to play with everybody every day which is a big deal. It creates a better bond and makes it easier to communicate and work together in games. Not only does she just play volleyball, she is a versatile three sport athlete. 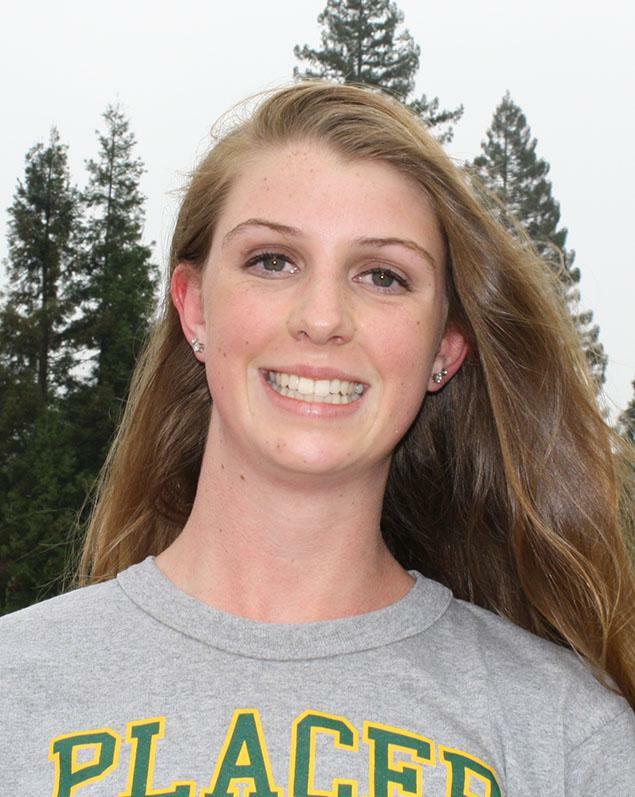 While volleyball is definitely her number one, Hiatt also plays basketball and track, which both sports she is planning on playing at Placer. Sports are a very major part of her life,and volleyball specifically is definitely something she sees herself doing for a long time, playing in college being her main goal. UCLA is part of the Pac-12 conference and in the women’s volleyball history, they have won 4 NCAA championships the last one being in 2011. Playing sports in college is a very big commitment, let alone very difficult to do, but if anyone were going to accomplish this feat, I would put my money on Hiatt. With all of that being said, this is only the beginning for the freshman, considering she has 3 years after this season left, and there is so much more room to grow.